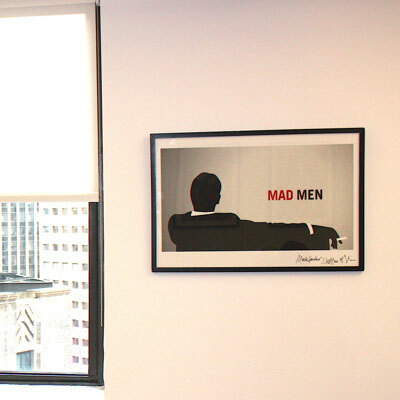 Custom frames for offices. 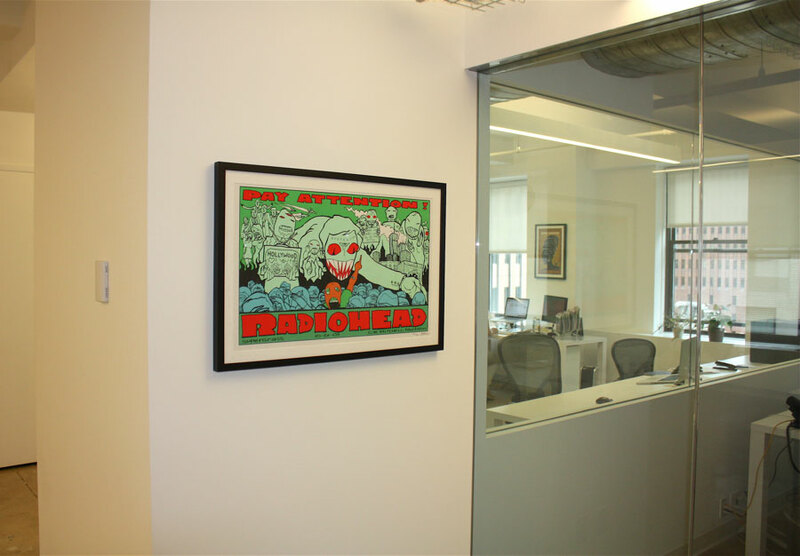 Decorate your office walls. 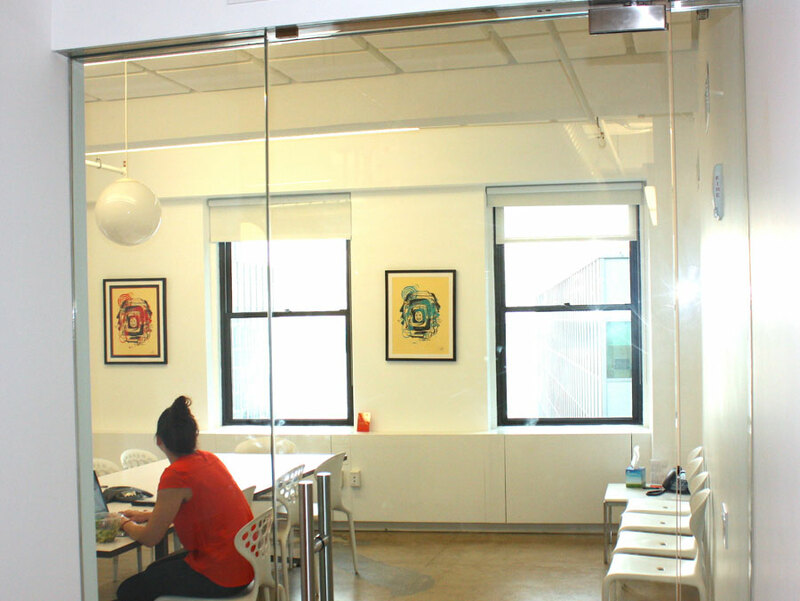 Decorating the walls of your office is a great way to provide inspiration and a more inviting work environment. 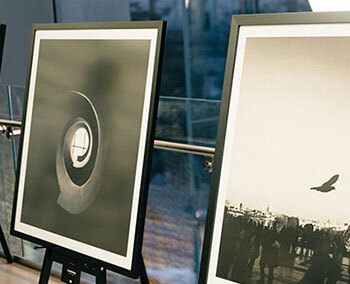 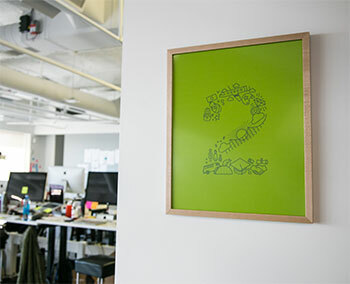 From a single framed print of your company logo or team photo to a complete framed art makeover, Level can help transform your space one wall at a time. 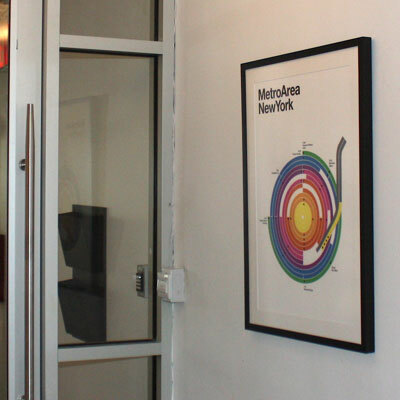 Frame posters and prints you already have without leaving the office. 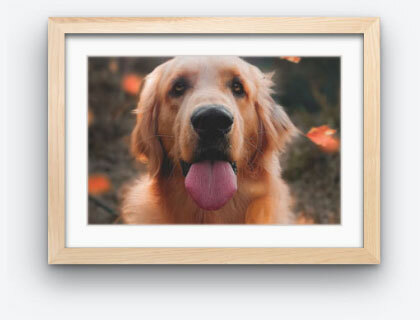 Send photos, designs or illustrations to be printed and framed in one step. 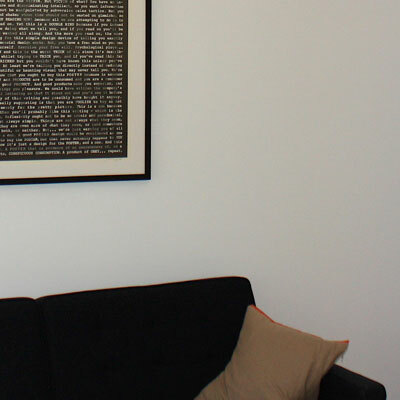 Design a gallery wall using photos, press mentions, artwork, or anything else. 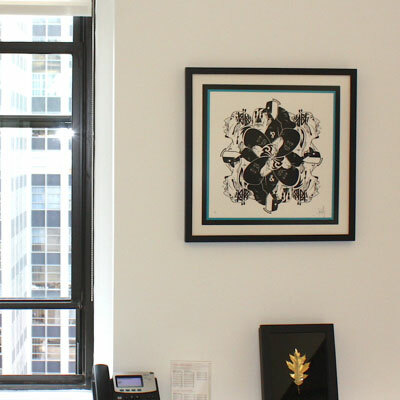 We can find new framed artwork to match your decor or the personality of the team. 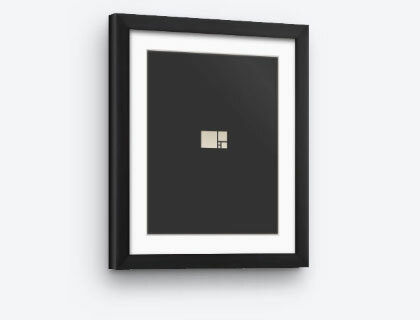 For something totally unique, commission a brand new work of art. 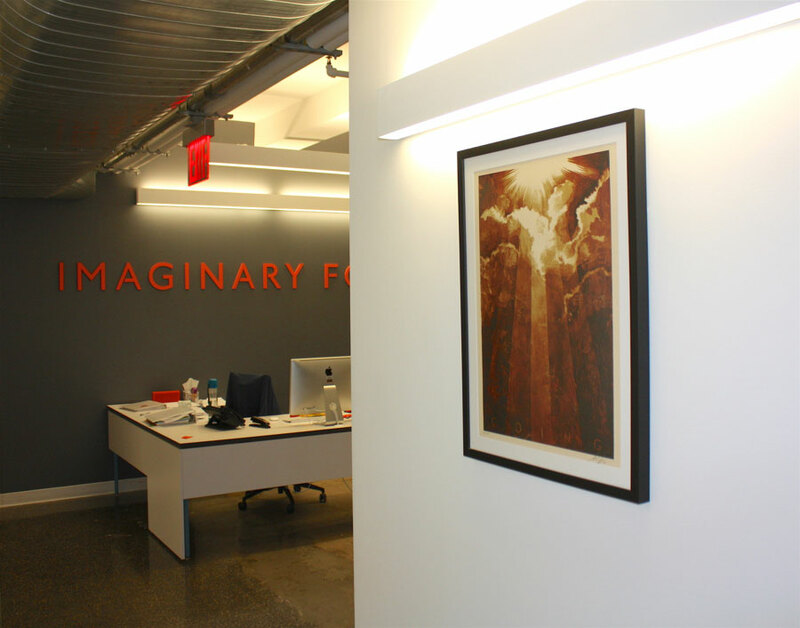 In certain areas, we can pick up your artwork for in-house framing. 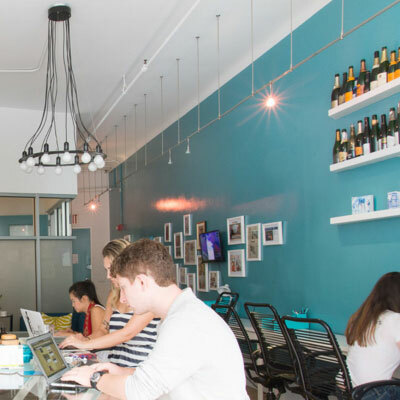 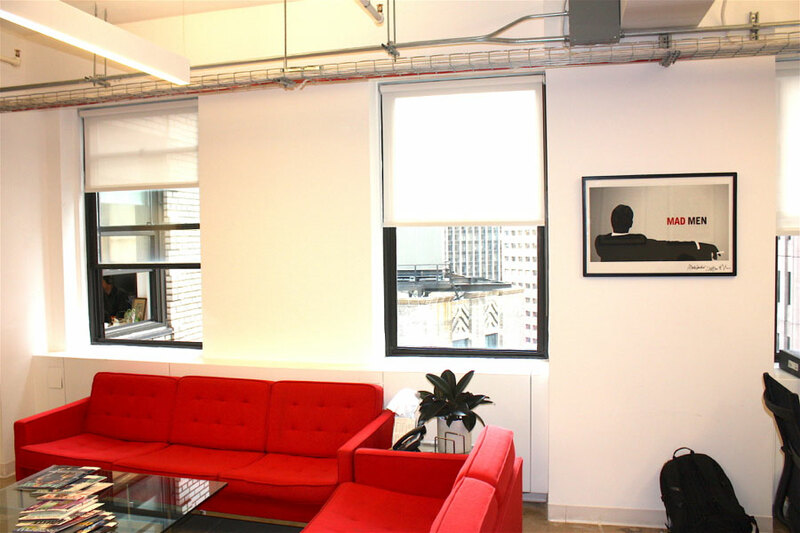 Read more and take a photo tour of their new HQ to see how we helped them pull of this project and level up their office space. 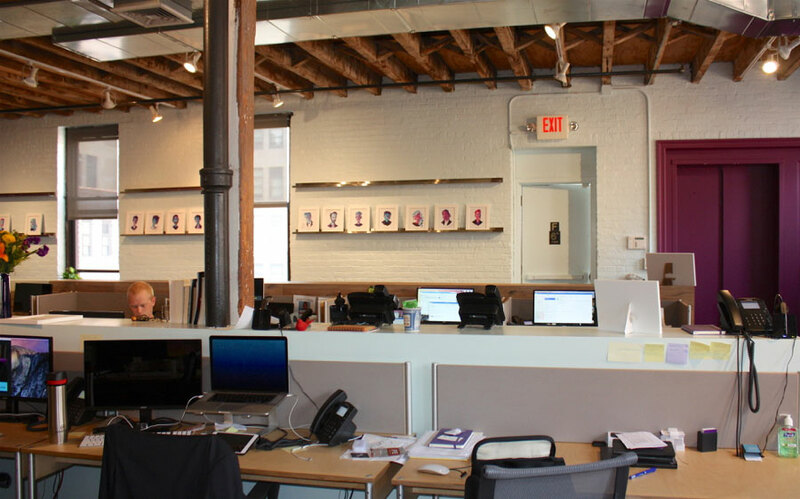 Concierge service from start to finish — let us do all of the work! 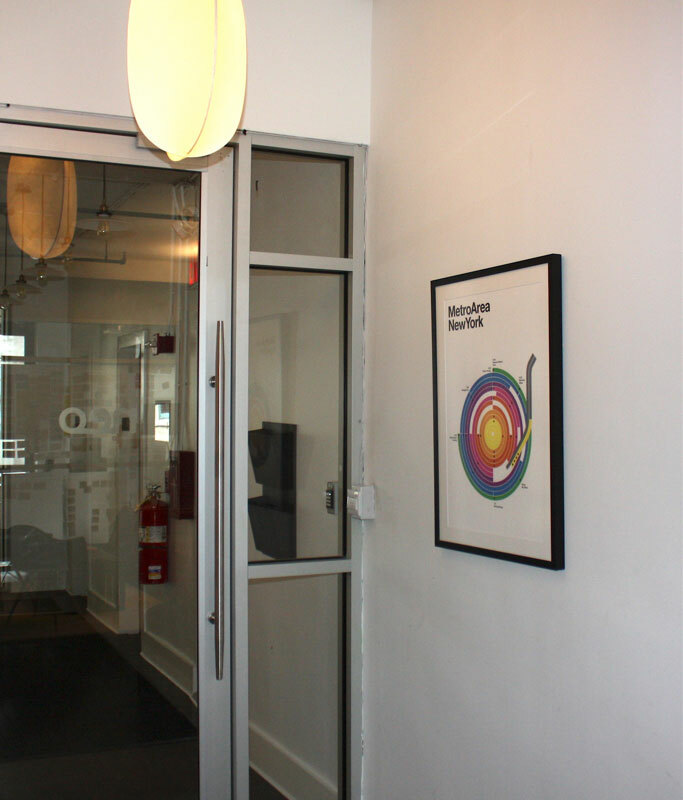 A creative agency preserving and showcasing their work. 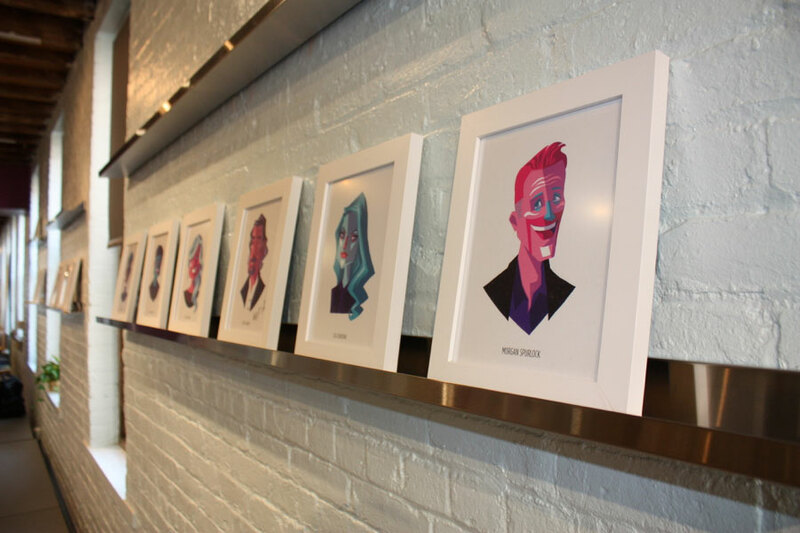 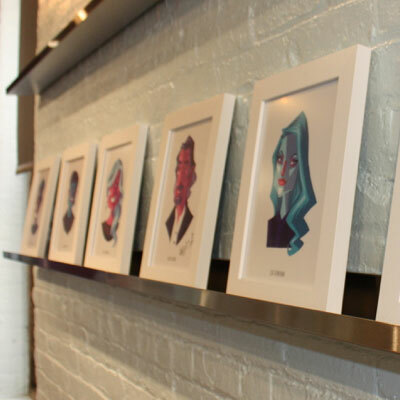 The growing collection of framed illustrations at Tribeca Short List. 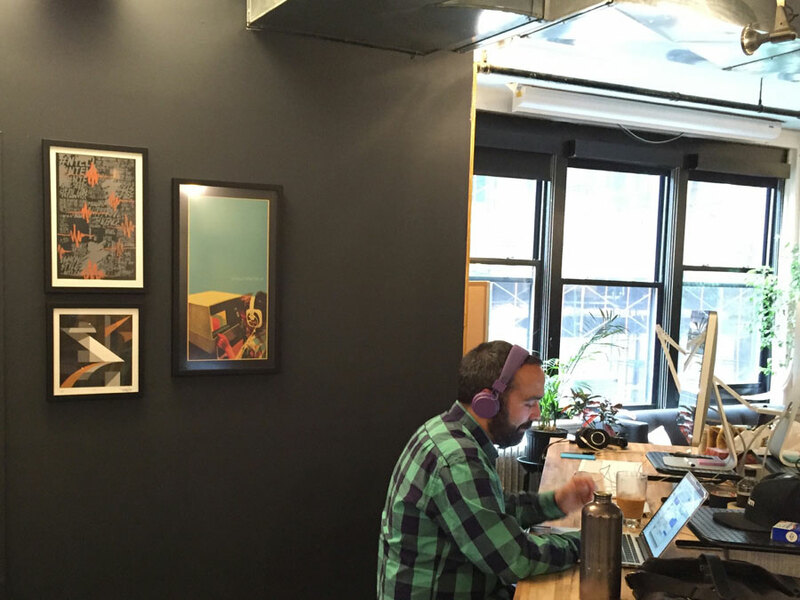 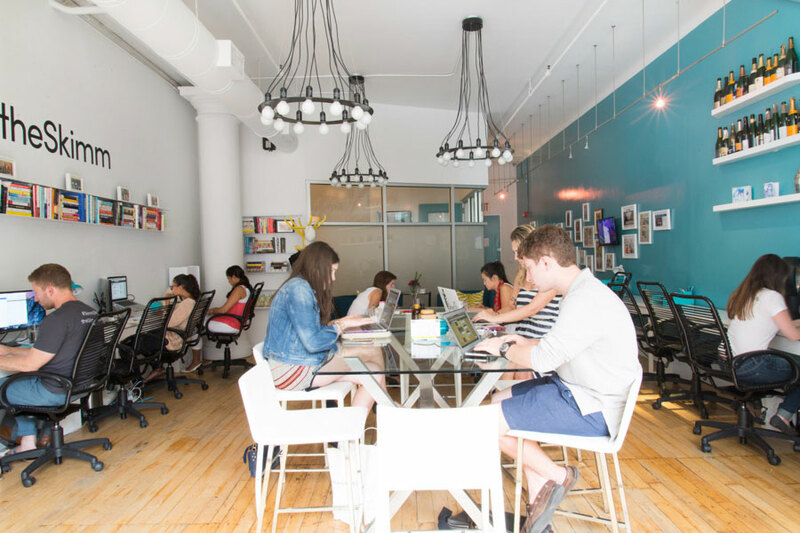 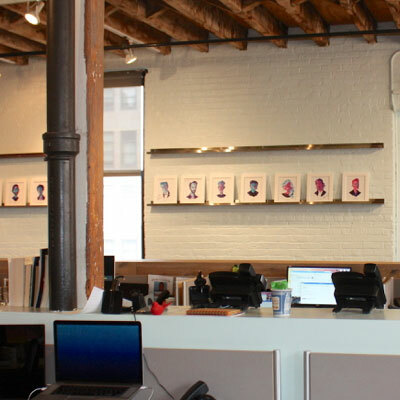 A gallery wall featuring team photos and press mentions, created by Level for The Skimm’s recent office makeover. 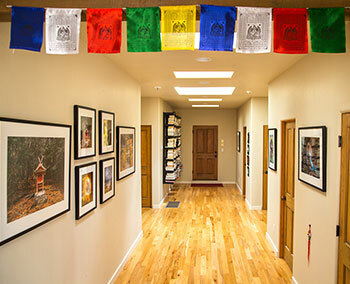 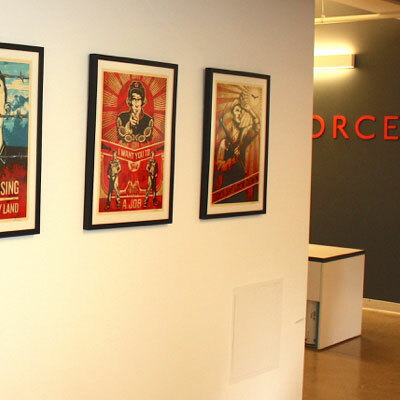 What’s the first thing employees and visitors see when they step into your office? 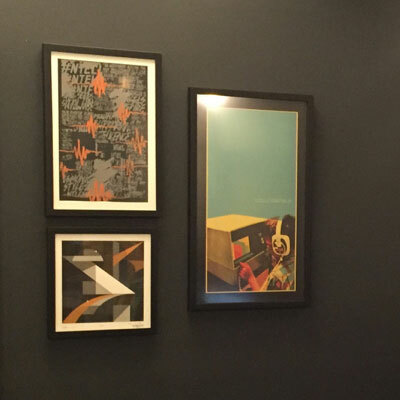 Framed prints clustered together can pull together a space, making it more inviting and productive. 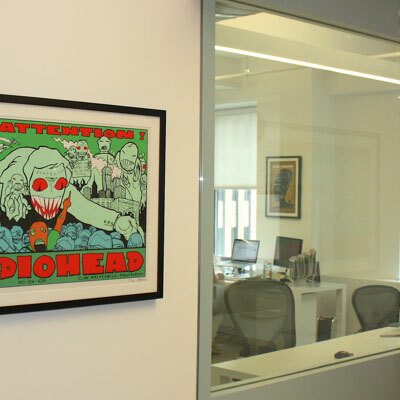 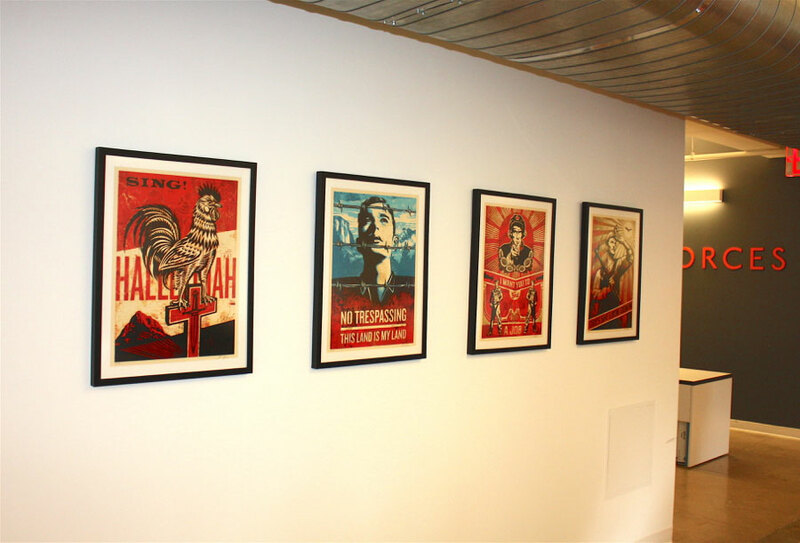 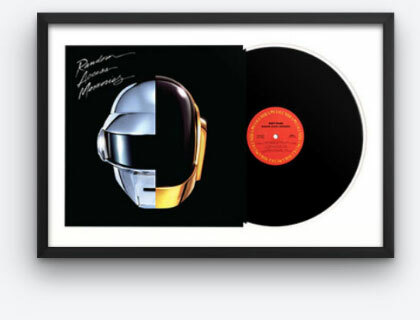 Concert posters and pop art elevated by gallery-quality frames. 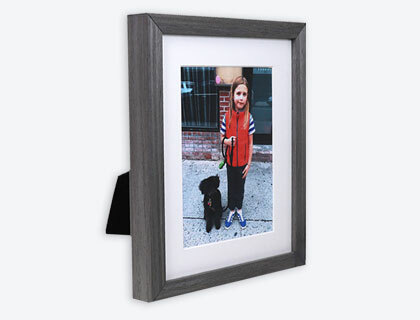 A Level frame designed for easy opening so that the print could be autographed and then re-inserted. 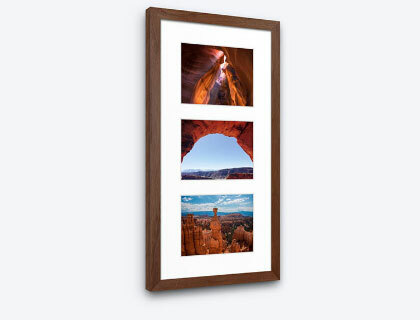 Frames and the right lighting making a statement for visitors. 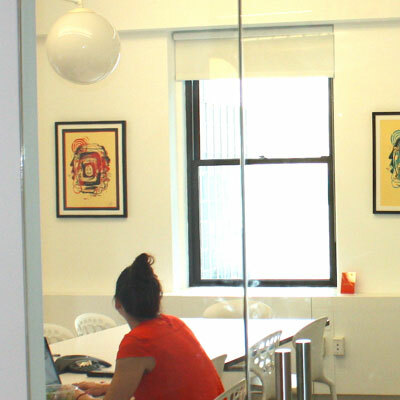 Gallery frames with non-glare glaze for a sunny conference room. 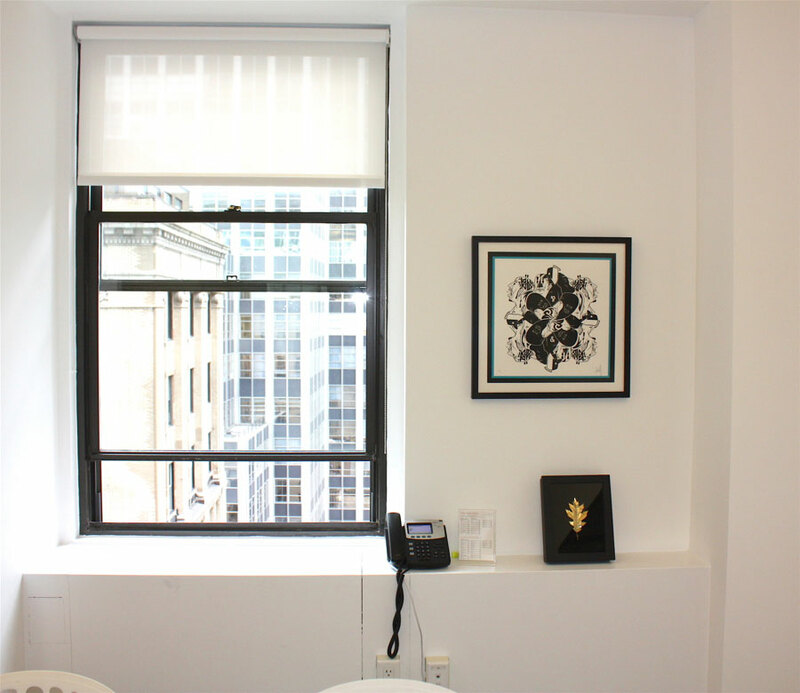 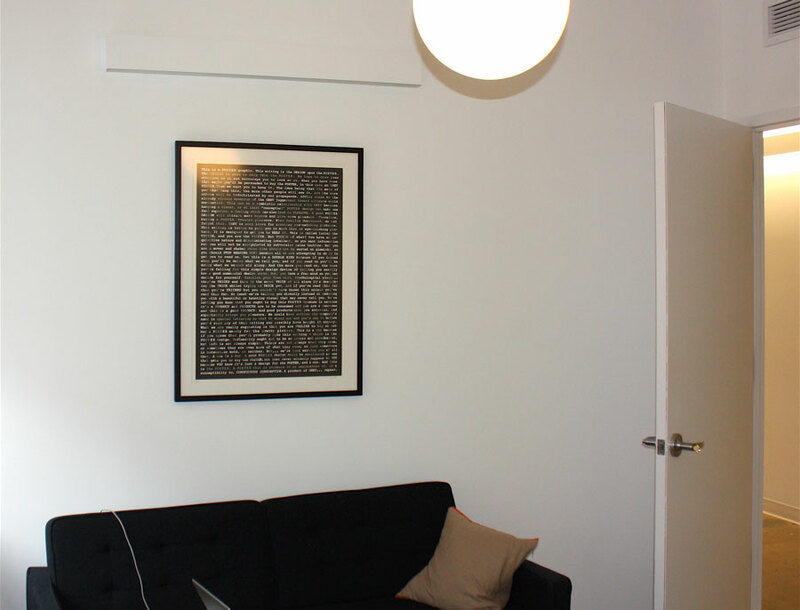 A double-matted, framed print adds character to this breakout room in the Financial District. 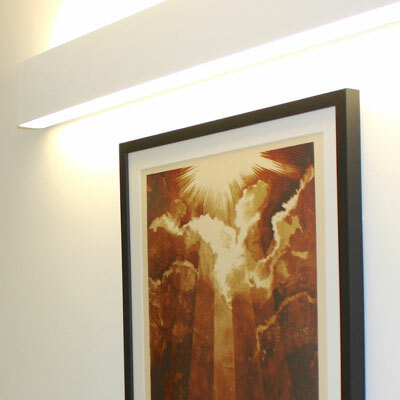 Expert framing of a limited-edition print.